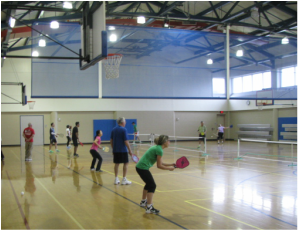 Get ﻿locations, dates and times﻿ for places to play Pickleball in Houston and surrounding communities. See listings for local and regional events, mixers and tournaments. 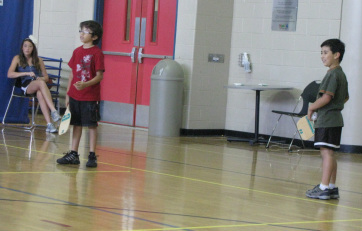 Visit www.usapa.com for a calendar of other national and regional tournaments. Submit listings for new venues. See ﻿videos﻿ of championship players in action and get ﻿playing tips﻿ to help you become a better player. Read the USAPA's player rating descriptions to determine your playing level. Contact a teaching pro for lessons. tournaments, plus all the equipment you need to get started. Get the latest ﻿national and local Pickleball news.﻿ Join our Pickleball blog to post questions, seek partners, suggest improvements to events and discuss topics such as rule changes, equipment or playing strategies. ﻿Pro-Lite, Engage and Pickleball, Inc. paddles ﻿in stock and available to buy or demo. Paddles are hand-crafted in the USA. See the full line and prices on our "Paddles and Equipment" page.